Motorcycle riders are always at a higher risk of getting injured in highway accidents. Motorcycles are often more difficult for other drivers to see and many times are ignored by other drivers. Motorcycles may also appear further away than they are; this may result in interference with other driver’s depth perception. These dangers are often ignored by other drivers on the road. Additionally, motorcyclists are at greater risk simply because they do not have the same protections as a car. Motorcycles do not have seatbelts or airbags and lack the protection of a metal frame. 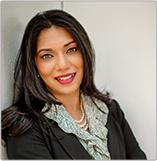 Anjali Nigam is motorcycle accident attorney protecting riders. Even at low speeds, the impact to a motorcyclist can be devastating. At higher speeds and with greater impact, the injuries to a motorcyclist can be fatal. The Texas Department of Transportation estimates that in 2013, 495 motorcyclists (operators and their passengers) were killed. The National Highway Traffic Safety Administration estimates that 4,957 motorcyclists were killed on the highway in 2012. Each of these singularly or together can cause motorcycle accidents. These injuries can require extensive medical treatment. Individuals involved in motorcycle collisions may require long hospital stays, multiple surgeries, medications, medical equipment such as wheelchairs, and physical rehabilitation. All of this can amount to massive medical bills and extended time off of work. The Nigam Law Firm has the resources and experience to skillfully navigate motorcycle accidents cases. The Nigam Law Firm has successfully represented a number of individuals in their quest to hold the responsible person accountable and to seek compensation for their harms and losses. Contact The Nigam Law Firm PLLC today for a free case evaluation.